Walk and celebrate pets with us at the Winnipeg Humane Society’s Paws in Motion, presented by Fairmont Winnipeg! 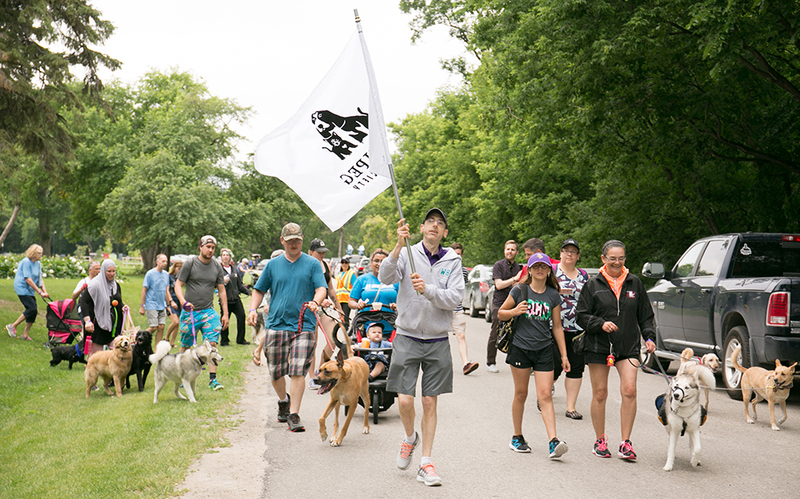 Paws in Motion is one of the Winnipeg Humane Society’s largest fundraising event of the year. All funds raised by participants help over 8,000 animals the WHS rescues and rehabilitates each year. Since it began 24-years-ago, Paws in Motion has grown into Manitoba’s largest celebration of pets! Walk route is 2.5km or shortcut 1.75km. All leashed pets are welcome! Sunday, June 23, 2019 | 8 a.m. – 1 p.m.
Join the celebration after the walk for fun, family activities! Children under the age of 16 are free to register.